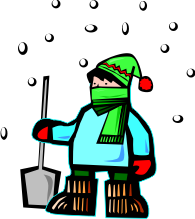 CCSD 46 school closings will be posted on the district web site and each school's web page, along with messages on Facebook and Twitter. The ShoutPoint emergency calling system will be activated, notifying parents, substitutes, and staff that school will be closed. ShoutPoint emergency calls rely on the phone numbers designated at registration. Chicago area AM radio stations WGN (720), WBBM (780), and FM stations WXLC (102.3), and WIIL (95.1), and TV stations CBS (2), NBC (5), ABC (7), WGN (9), FOX, and CLTV will be notified of our closing. You can also visit www.EmergencyClosings.com website for information. 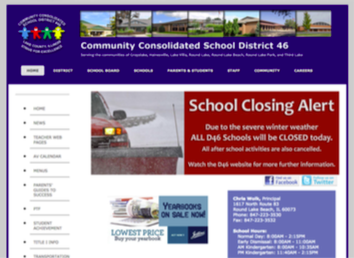 We are listed as DIST #46 (GRAYSLAKE ELEMENTARY SCHOOLS).